To date, we’ve tested over 100 VPN services. We will continue to test new and old VPNs for security, privacy, and the fun features. Our little team is also open to feedback and reviews! Which ONE should you trust out of hundreds? What are the best VPNs of 2019? There are a few hundred VPN providers (that we know of) operating on a global scale. 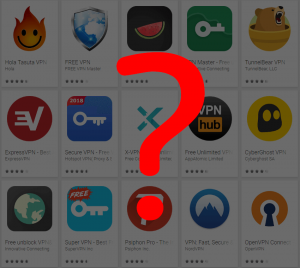 All VPNs seem to promise similar features… but which ones actually deliver on that promise? How do we know which VPN is suitable for our needs? Netflix/blocked content – unlocking all the content whether you live outside of the US or inside. Torrenting/P2P – using a VPN to keep your IP hidden from the public and avoid DMCA warnings. Privacy – operating behind a VPN and other complimenting products like TOR to completely become anonymous, and hide any online activities from anyone. Censorship – escaping government restrictions and advocating our rights to free speech. There are additional factors to consider such as ping, connection speed, product usability, security features, logging policies, support options, price, and more. The best VPN services offer vaguely similar features too. So how do you go about deciding the one? Leaders in the industry are pushing to share audits to the public. One of the things that premium VPNs do better on is transparency. There’s been a small but distinct movement towards business transparency. Our top 5 are the ones leading this movement towards VPN providers becoming more transparent with the public. Usually, this means having a third-party security firm do a rigorous penetration test and evaluate their logging policies. What exactly do the industry leaders do to achieve transparency? CyberGhost was the first to run yearly Transparency Reports since 2011 and still going strong. 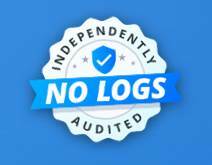 VyprVPN recently went through an independent audit by a third party security firm and published the results. Both of our #1 and #2 top VPNs, NordVPN and ExpressVPN, also went through independent audits and passed. It’s difficult to distinguish which VPN service is good, let alone trustworthy. We can start by reading these audit reports. With these points in mind, we can narrow down the massive VPN list to a select few—top ten, to be exact. So far, we’ve signed up (paid), downloaded, installed, and tested all the VPNs listed below, and 100+ others. Let’s get down to the best VPNs. NordVPN operates with Nordic work ethics – they strive for the highest form of excellence. But at what cost? $2.99 per month? You read that right, it’s our recommendation for the best cheap (and overall) VPN. With an extremely high server count and fast speeds, you can’t go wrong with NordVPN. They also take some extra security measures – you connect to “Double VPN”, meaning you are encrypting your connection twice over. Your ISP and the government will not be able to track the websites you visit. That’s what we call a secure VPN. On top of that, they offer TOR integration, namely “Onion Over VPN”. If you’re doing some illicit activities, this could be your first choice. The cherry on top? NordVPN is based in Panama, also away from the eyes. For any of our readers out there who want a working VPN for Netflix, torrenting and for privacy, NordVPN the first choice. + 5 country Netflix access (including US). – High month-to-month subscription (offset by an affordable $2.99/month deal). Or read our full NordVPN review and try to say no (hint: you won’t). It’s no surprise that ExpressVPN is mentioned in our best VPNs list. ExpressVPN takes the title on most VPN reviews, and for good reason – it simply performs well. The website is easy to navigate around in. The product works out of the box and is extremely simple to use. For the advanced users, it also offers a ton of customization. Netflix works 100% and torrenting is encouraged, with one of the fastest speed tests to boot. ExpressVPN respects their customers with a zero-logging policy on top of their top-tier security features. On top of all these things, the company is based in the British Virgin Islands – safe from any prying government eyes (5, 9, 14 Eye Alliances). Your personal information stays safe along with all your online activities. The software and apps are available for pretty much all devices and operating systems. Windows, macOS, Linux, iOS and Android aside, you can also protect your Kindle, Chromebook, smart TV, gaming consoles, and more. Want an easier way to use this VPN? Just get a browser extension. ExpressVPN has it all. The price won’t break your wallet. It’s affordable at $6.67 per month; people might complain about the pricing, but we consider this a low entry barrier. Anyone even slightly considering a premium VPN should take action. ExpressVPN is simply incredible and we recommend it to our readers as the best “go-to” VPN. In fact, we’re keeping our subscription. + Huge device compatibility (everything you can think of). + No logging and in a safe jurisdiction. – Premium VPN pricing (but currently offering a 49% discount). Or read our full ExpressVPN review to understand our delights. GoldenFrog, the parent company of VyprVPN came a long way since its inception. From claiming to be “The World’s Most Powerful VPN” to “The World’s Most Trusted VPN,” VyprVPN puts in an incredible amount of effort in being a transparent, no-log VPN. They’ve invited Leviathan Security Group, a world-renowned security firm, to evaluate and review the VPN platform. That doesn’t mean the overall price and performance falls short. In fact, VyprVPN performs wonderfully and the company actively works on improving the services. For example, they’ve recently started offering Netflix UK bypasses and faster server infrastructure in Asia (based on our review, no less). We’re happy to hear these companies are listening to our feedback. Although their free trial period is only 3 days long, we find that most people who try it tend to keep their subscription. With operations running from Switzerland with its strict privacy laws, it’s no wonder this VPN provider has made our top 10 list. At prices being as low as $3.75 per month, VyprVPN is a solid choice. + 3rd Party Security Audit-Approved. + Chameleon protocol for safety. + US and UK Netflix access. – Short free trial period (3 days). Where to start? CyberGhost VPN features a super slick and clean product – it’s easy to use and easy on the eyes. Like ibVPN, CyberGhost hails from Romania – outside of government surveillance. On top of that, they were the first VPN company to publish Transparency Reports. CyberGhost has quite the server count, nearing almost 3,000 servers distributed globally. The VPN client helps you navigate through your needs – whether it’s Netflix or torrenting, you won’t have a difficult time finding the answers you’re looking for. In case you don’t, there’s a 30 day no questions asked money back guarantee. There’s a reason why CyberGhost VPN grew to 30 million users in just 8 years. They have the fundamentals locked down – cheap pricing (albeit a 3-year lockup period), awesome product, responsive live chat support and, above all, the promise of privacy. Read our CyberGhost VPN review. Let’s talk about the elephant in the room. Private Internet Access (PIA) VPN is a company in the United States of America. Yes, they fall under the Five Eyes jurisdiction. But for some, this is all negated by the fact that they proved their zero log policy in court. TWICE. This key detail is the driving force behind the world acclaimed PIA VPN. Other VPNs never got the chance to prove themselves while PIA has been thriving under good publicity. In regards to torrenting, there’s close to zero mention of it on their website. We like to think they’re looking the other way, especially when we know they’re not keeping logs. A kill switch is available for everyone. PIA VPN also offers native applications for Windows, macOS, Linux, Android, and iOS. Let’s not forget about their browser plugins for ease of use. All that customer base and money aside, PIA doesn’t have the best customer service options. Customers can reach them through tickets only; the advertised 24/7 support doesn’t feel all too real. + Proven no logging policy. – Falls short in customer support. – US Jurisdiction (but proven no-log policy). Or read our full PIA VPN review and see if it’s for you. If you thought NordVPN was cheap, wait until you see this VPN. Ivacy VPN actually looks too good to be true; the price is way too low and it’s extremely feature-rich. It only costs $1.40 per month. Sure, you have to sign up for the 5-year package, but this price point is almost unheard of. Just think about all the features it comes with at this price. The value-for-price is the best in the industry. Ivacy also provides live chat support! And it’s responsive! How they can support live chat at this price is honestly baffling. Of course, the best VPNs don’t log (as most claim to be) and Ivacy is no exception to that rule. The only concern we have is the jurisdiction in which the company is operating under. – Singapore isn’t in any Alliances, but they have cooperated with the FVEY. (But let’s remember, they promise to retain no logs). Or read our full Ivacy VPN review and see if it’s for you. Trust.Zone makes our top VPN list with its affordable pricing albeit has a not-so-high server count. 127 servers in 80 countries, actually. You shouldn’t judge a VPN by its server count and this is especially true for Trust.Zone. What they lack in quantity is quality. Almost everything they offer is exactly how a good VPN should be. Being based in Seychelles with a no-log policy, their company foundation is as privacy-driven as the premium VPNs like ExpressVPN and NordVPN who are ranked 1st and 2nd on our list respectively. If you wish to watch content outside of the US, Trust.Zone is probably not what you’re looking for. All that torrenting and Netflix potential… can their servers keep up? We can say this with confidence: their server speed more than makes up for the lack of diversity in servers. Trust.Zone offers a native Windows client only. iOS, Android, macOS and Linux users can also find guides on using Trust.Zone on their website. In other words, it works on most devices. Not everything is as great as our first two recommendations, though. Trust.Zone’s support is lacking; customer support is only available through tickets and only during their operating hours during Monday through Friday, 6 am to 4 pm GMT+0. Lastly, they also provide a 10% discount for those who wish to pay with Bitcoin. – Ticket based support only (M-F 6 am to 4 pm GMT+0). Or read our full Trust.Zone VPN review and see if it’s for you. Windscribe VPN shows off a super clean product with native Windows, macOS, iOS and Android clients. Linux users can simply apt-get as usual. One notable thing about Windscribe VPN is that they offer a freemium plan. This might raise some flags but Windscribe likes to keep it simple – free users get minimum access to the VPN while premium subscribers get full access including torrenting and Netflix. For Netflix, you can only unblock US Netflix with their “Windflix” option. Windscribe also allows free users to earn credits. How? By using the users’ browsers to mine for a cryptocurrency called Monero. This is an odd concept but it surely caught our eyes. Although they are based in Canada (under the Five Eyes), they do take security seriously. They have double hopping (routing your traffic twice through their network) and a kill switch. Windscribe is a little bit of an oddball… but we like “different” and we’re not alone – Windscribe is the 10,000th most visited website in the US according to Alexa. The company also logs your bandwidth and timestamp of your last activity, although they claim it’s to enforce their free tier limitations and to purge inactive accounts. Oh, and we also found out their live chat is actually a bot. Yes, you can still contact their human support through a contact form. + Windflix for US Netflix. + Cheap (or completely free). – Customer support is lacking. Read our Windscribe VPN review. Hailing from Romania (that’s in Europe for those geographically-challenged), Invisible Browsing VPN (ibVPN) has been in the game since 2010. Since they are located in Romania, they are outside of any Eyes jurisdiction and does not keep user activity logs (but do keep minimal logs to detect free trial abusers). The VPN package we reviewed was the “Ultimate” package which averages out to $2.42 per month. With this package, you have some access to Netflix although you may bump into the dreaded “black screen” sometimes. Torrenting is also available with this package, and with SOCKS5 proxies for faster speeds. ibVPN is a VPN provider that knows their customers – people who want privacy. That’s why they accept cryptocurrencies from Bitcoin to Dogecoin. The VPN service comes with a 15-day money back guarantee for those who simply want to dip their toes in. Some additional key points to go over are the wide range of devices that are compatible with ibVPN, human-operated live chat support, great security with TOR integration and a kill switch, and no leaks! If you want the basic plan with no Netflix or torrenting, you can just take $1 off per month. We believe it’s worth to pay the extra dollar. Hide.me VPN doesn’t offer all the best features but still makes it to our top ten list. It just goes to show how few good VPNs there are in reality. The price is probably the highest you should pay for a VPN, excluding ExpressVPN (which is a huge exception because they are simply amazing). Hide.me VPN’s interface is just OK, pricing isn’t too attractive but it has the barebones features. If you’re looking for an all-access Netflix pass… Hide.me VPN doesn’t offer it. At least they offer the privacy you’re looking for. Based in Malaysia, they are out of Eyes jurisdiction and promises a no-log policy. The servers are 1-gigabit servers and our tests found them to be extremely capable. We can’t forget about crypto payment options with a 14-day money back policy. There are even browser plugins for casual users. All these points are OK on paper, and nothing exceptional. Sure you can get a decent VPN for about $5 per month, but if you pay a little more, you can get the best. Why settle for less? + Great free trial plan. Read our hide.me VPN review. Mullvad VPN does something different than other VPN providers. They have a completely anonymous signup form. There’s a one-click account generation method, and you can even pay in crypto. If you’ve paid in crypto, your identity is surely more secure than if you used your credit card or PayPal. There’s no need for an email address, and no overlap in usernames or passwords – you simply use your account code. Mullvad also operates with a zero-log policy but operates in Sweden who is a part of the 14 Eyes Alliance. More security, however, means more responsibility on your end as the end-user. Should you lose access to your account number, you might be out of a VPN. + Super simple and secure anonymous signup process. + No IP or DNS leaks. – Customer support is severely lacking. Read our Mullvad VPN review. You probably already did your research but here’s a brief in case you didn’t get the note. A VPN stands for “Virtual Private Network” – it’s usually a paid subscription like using your Internet. A VPN service acts as a gateway between you and the Internet, securing your identity and browsing history. If you care at all about your privacy or anonymity, then a VPN is the go-to tool in the arsenal. You may have different reasons for wanting privacy and anonymity. It could be that you’re a believer in the fundamental rights, or another reason could be that you’re trying to protect your illicit online activities such as piracy. Whatever the reason is, a VPN is your defense. To learn more, read our “What is a VPN?” article. Our findings reveal the optimal range for a VPN subscription per month is somewhere around $3 to $7, or about $5 on average. A VPN subscription will cost significantly more if you opt-in to pay on a month-to-month recurring subscription. Many, if not all, VPN services offer a flexible pricing plan for you to pay for a long-term contract; anywhere from 1 to 3 years. For instance, our #2 rated VPN, ExpressVPN, costs $12.95 on a month-to-month subscription basis. But if you sign up for a 1-year contract, you only have to pay $99.95, and you’ll also receive 3 months on top. The cost savings are nearly 50% at $6.67 per month. So, if you’re worried about cost, get a long-term subscription with a reliable brand that has a track record. Can a VPN unblock websites and let me watch Netflix? Of course, a VPN can unblock websites and enable streaming services such as Netflix. Most of the VPNs on our list provide US Netflix streaming options – sometimes even a dedicated streaming server. As you may have heard, Netflix is hunting down VPNs and blocking their IPs. So if you’ve paid for a year’s worth of VPN and all their IPs are banned from Netflix, you’re out of options. In the cases of the top-tier VPNs, they will constantly update their server IPs to always allow Netflix streams for their customers. Even if some of their IPs are detected by streaming services, they will replace them with working ones in no time. Read our “Best VPN for Netflix” article. VPNs usually have three policies for torrenting. Completely allowed – VPN services will outright say you are allowed to stream or download anything from anywhere. Completely disallowed – VPN services will outright say you are not allowed to stream or download illegally. No mention/no policy – VPN services not mentioning a torrenting policy is their way of saying, “stream or download, but at your own risk (since we may not be able to protect you)”. Please keep your safety in mind and read their policies, or read our reviews to get a quick snippet of their policies in case all the legal wording is too much. Read our “Best VPN for Torrenting” article. Will a VPN affect my Internet speed? Generally speaking, a VPN will reduce your current speeds by 20-30%. The reason is that when you use a VPN you are routing your connection around in your VPN provider’s network. This usually causes delays in sending and receiving data packets, and is especially noticeable while gaming. Keeping a VPN turned on for everyday use should not affect your Internet browsing and streaming experience, but keep in mind that it will most likely affect your gaming experience. For instance, when we conduct speed tests, we test different regions. Can I use a VPN on my router and other devices? A VPN can be installed on various devices from your router, gaming console, smart TV, Raspberry Pi, Chromecasts and even a Kindle Fire. One advantage of enabling a VPN on your router is that your entire WiFi network is then protected by the VPN. So all devices connected in your network will use the service. In case your subscription limits you to a few devices, this is a great way to go around that issue. There are online services that sell routers which are preflashed, or already set up and good-to-go with the VPN of your choice. For casual users, there are even browser extensions. A simple one-click solution built into the browser – it can’t get any simpler. In freer countries, yes. That accounts for around 97% of the countries around the world. Only allow government-approved VPNs (which keep your data and share with the government). Both options are not ideal, especially if you break these laws you may face files and jail time. There are still “technically illegal” aspects of using a VPN. For instance, it is completely legal to use a VPN in the United Arab Emirates, but illegal to use it to bypass geo-restrictions or to hide your identity (which defeats the purpose of using a VPN). The main point of using a VPN is to keep yourself safe. So, are VPNs safe to use, and will they protect your identity and browsing history? Does it leak your IP and DNS? Does the company fall under any surveillance alliance jurisdiction? If the connection is encrypted, at least there is virtually no way of brute-forcing and decrypting the information. Some VPN services can leak your IP and DNS, revealing your true identity. The VPN service may fall under a surveillance-heavy jurisdiction where they have to retain customer data and send them to the government. The company itself is a huge factor. Are they transparent? Have they been involved in any lawsuits? How long have they been operating? How many customers do they have? All these points are covered in our analysis because that’s how we keep you safe. Logs are crucial in retaining your anonymity and protecting your identity. Some VPNs keep logs; of your IP address, connection date and time, bandwidth used, and more. If all this information is recorded and you were involved in a lawsuit of some kind, the government would have the right to request this information form the VPN services (provided they are in one of the 5/9/14 Eyes Alliances). It’s extremely important that you sign up for a VPN with a no-log policy – for instance, PIA is one that has proven in the US court that they retain no logs. Log policies are especially important to activists, privacy advocates and those who practice not-so-legal things online. Not at all. Free VPNs are unreliable in general. They either do not work and/or install malware on your computer. Let’s not get into them selling your data to third parties. Free VPNs are free of monetary costs, but remember, nothing in life is free. You are paying for the subscription with your identity. You become the product that they sell to shady companies. What’s the best VPN? What to look for in 2020? VPN services have pretty much figured out the needs of their users. It will be a tough competition to see which one can come out on top based on how they deal with improving their product. The best VPNs in 2020 will have all the requirements on lock-down. On top of that, they will expand their device compatibility range, offering a smooth and seamless VPN ecosystem. We should also consider more security features such as multi-hop routing, better integration with TOR or possibly an entirely new security feature no one has thought of. Of course, let’s not forget about streaming, geo-restrictions and censorship issues – these are ongoing issues that the top VPNs are already dealing with. …All while providing a smooth experience? Then we have our list.